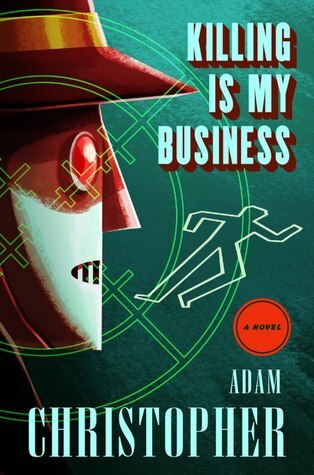 "Robot noir in 60s Los Angeles? You had me at 'Hello.'" —John Scalzi, New York Times bestselling novelist on Made to Kill. being that Vaughan Delaney had to go down on one knee so they could smell his aftershave. Then he blasted off in the Plymouth Fury and the quiet street in Gray Lake was quiet once more until Cindy Delaney took the children to school in the yellow boat and then came back again twenty minutes later. Then she put on a housecoat to keep her dress clean and she drove a vacuum over the bungalow while her husband drove a desk down in the city.